What could be better than a day on the beach? The feeling of hot sand beneath your toes, the salty waves of the sea lapping on the shore, the smell of sun cream, the sounds of laughter and the heat of the sun warming your skin – the beach is a fantastic place to be. That’s why exploring a beach town in America is so popular – all the usual beach excitement, with even more pizzazz. 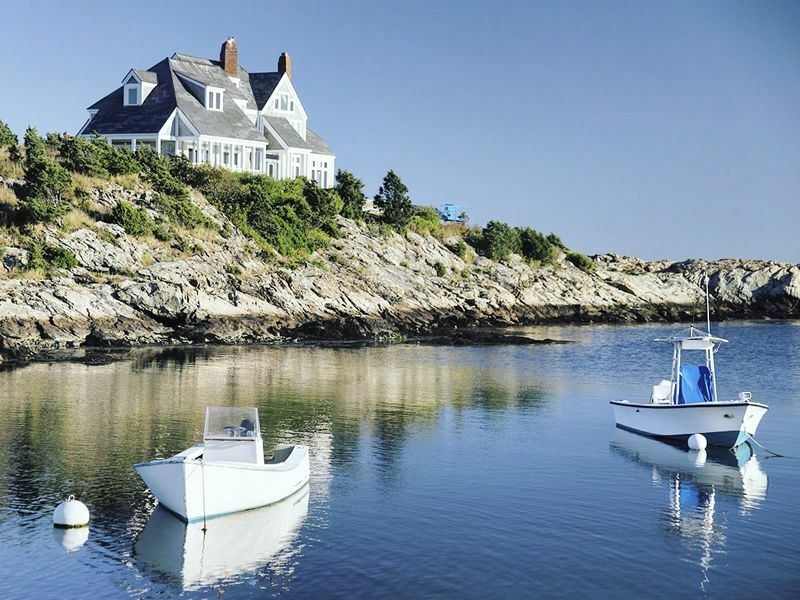 From lively promenades and pristine stretches of sand, to coastal amusement parks and fun fishing excursions, here’s our collection of the best coastal towns to discover in America. 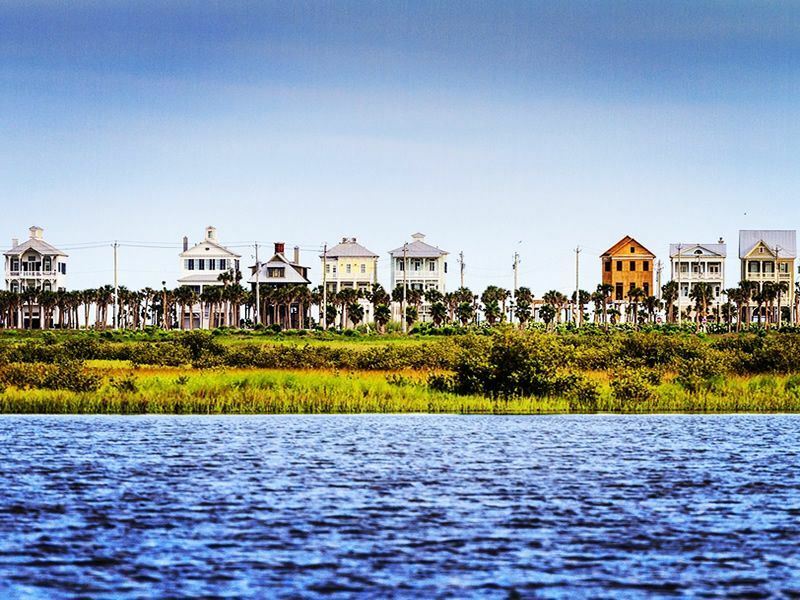 The beach town of Galveston on Galveston Island, an hour’s drive from Houston is a beach lover’s paradise. There are 32 miles of shoreline to discover, Stewart Beach to the east is a safe haven for families with lifeguards, toilets, showers, a gift shop and snack bar. This clean beach has plenty of sand for those all-important sandcastles and also a playground to keep little ones occupied. Seawell Urban Park has 10 miles of beach making it easy to pick your own private spot. The promenade is lined with bars and restaurants sit and watch the world go by with a drink in hand while admiring the ocean views. Visit the Pleasure Pier on South Beach for some good old-fashioned seaside entertainment; ride the carousel, rollercoaster or Ferris wheel and cool off with an ice cream. If you get bored of the beach Galveston has so much to see and do, find something different to take home from the eclectic shops lining the historic downtown area or take a stroll along Broadway Boulevard. Famous for surfing, Santa Cruz has a laid-back beach vibe. It didn’t get the nickname ‘Surf City’ for no reason with 11 world class surf breaks including Steamer Lane and Mavericks it hosts annual surf competitions and is renowned worldwide for its surf spots. If you are new to the sport try Cowell’s or 36th and East Cliff. If relaxing and catching some rays is more your style then the 29 miles of Californian coastline here won’t disappoint. West Cliff Drive has pretty secluded coves, while the beaches along East Cliff Drive have calm, sheltered waters. Natural Bridges State Beach is perfect for families with rock pools for exploring and it’s a great beach to watch the sunset from. Twin Lakes State Beach is a large stretch of sand with fire pits; wonderful for beach barbeques it also has a lagoon. A little bit out of town is Sunset State Beach, park up for the night at the campgrounds hidden in the sand dunes and watch dolphins playing in the surf along the miles of empty golden beach. For fishing Santa Cruz Wharf is the place to cast out. 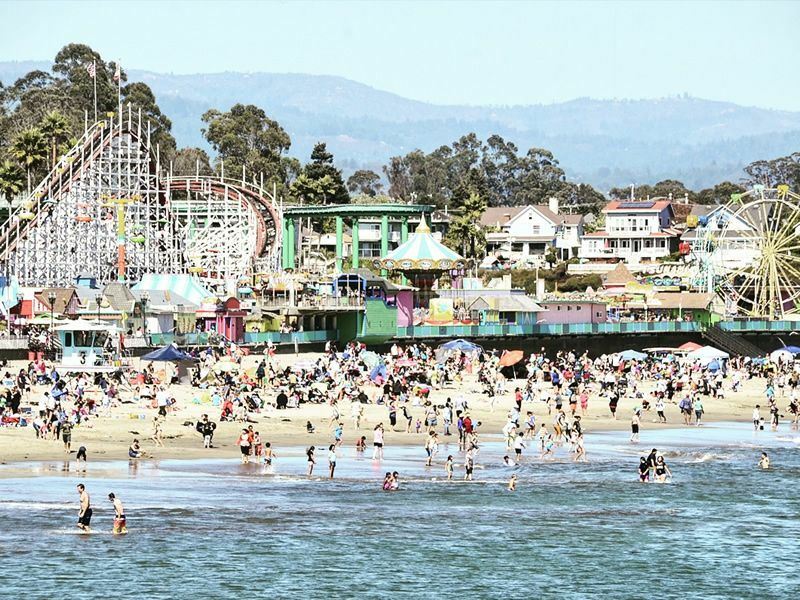 Ride the Giant Dipper rollercoaster at Santa Cruz Beach Boardwalk the oldest amusement park in California and visit Penny Ice Creamery for a seaside treat. Aside from the beach Santa Cruz has all sorts to keep you occupied, while in town try a local beer at Santa Cruz Ale Works; the thirst quenching Hefeweizen is a popular choice. Weekly framers markets full of local west coast produce from avocados to figs are worth checking out. Visit Santa Cruz Surfing Museum housed in a lighthouse and watch sea lions playing in the water at Municipal wharf. 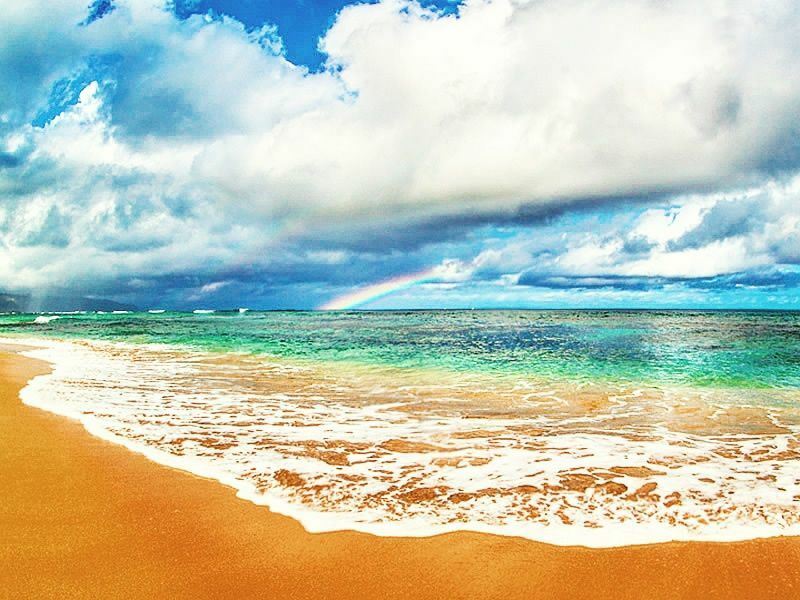 On Hawaii’s North Shore is Sunset Beach, golden sand, crystal clear waters and a palm lined shore; put simply it is two miles of tropical paradise. Hawaii is the home of big wave surfing during the winter months the swell can sometimes reach 25-feet and higher making it the perfect beach for world-class competitions. The summer brings calm waters excellent for swimming and snorkelling; reefs bustling with beautiful marine life are all waiting to be discovered. Shaded picnic areas plus toilet and shower facilities mean you can stay here all day until sunset and as the name suggests this beach is the ideal spot to watch breathtaking sunsets. Nearby Haleiwa is a laid-back surf town great for strolling and a bit of shopping. The quirky streets are lined with Surf shops, boutiques and restaurants. Closer to the beach sample Hawaiian shave ice from a food truck or go to Ted’s Bakery for breakfast, lunch or one of their famous cream pies. Chincoteague Island on the Atlantic Coast has beaches like no other, leave the mainland behind and get lost in island living. Hire a bike and head to the beach at only seven miles long and three miles wide it is easy to get around. 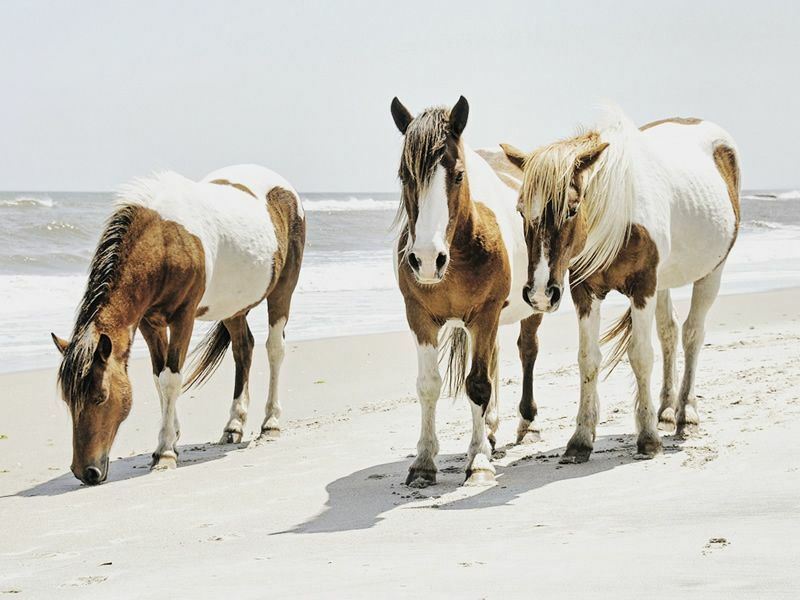 The beaches are found in Chincoteague National Wildlife Refuge on neighbouring Assateague. Be sure to take your own picnic as these beautiful remote beaches have no facilities, just miles of uninterrupted sand dunes and blue waters. Explore the trails leading around this archipelago, head north on Swan Cove Trail to Wild Beach; this secluded stretch of sand can often be had all to yourself. Kayak from Toms Cove and follow the Seaside Water Trail, collect shells to take home as a souvenir or simply relax and sunbathe. Crabbing and clamming are popular pastimes here, buy a crabbing line, net and bucket add a weight and a bit of bait and try your luck at catching your own dinner. Back over the bridge the quaint town of Chincoteague is full of charm and a nice place to explore. Maddox Boulevard and Main Street is the place to head for restaurants such as Sea Shell Café and The Crab Shack. The Island Creamery is a must visit, the only place to get homemade ice cream on Chincoteague. The seaside town of Long Beach found on Long Beach Peninsula is a two and a half hour drive from Portland. This seaside town has a carousel, carnival rides, bumper cars and souvenir shops, perfect for families on holiday. Browse in the boutiques and art galleries and for local treats visit Columbia Pacific Farmers Market, look out for fresh tuna and other local produce. For something a bit different visit the Cranberry museum to learn all about cranberry farming in the area. Captain Bob’s Chowder has delicious crab rolls and The Cottage Bakery has a vast array of sweet treats. A huge sign claims Long Beach to be the ‘World’s Longest Beach’ whilst this may not be completely accurate the 28 miles of sweeping shoreline, sand dunes, rugged cliff top and wispy surf are undoubtedly beautiful. Stroll along the beach boardwalk for breathtaking views of the pacific, or drive on the sand to pick your own private spot away from the crowds. 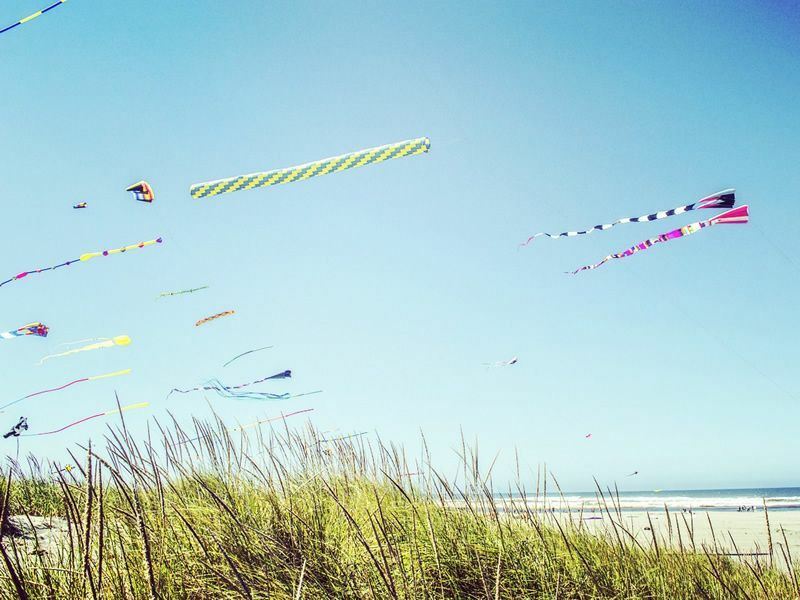 On windy days it is a great place to fly a kite and something that Long Beach is famous for, the Washington State International Kite Festival is held on the beach here every August. This pretty beach town is made famous due to its arty residents; the streets are lined with galleries and studios full of unique work. Watch glass blowers or visit one of the many art festivals which take place throughout the year. 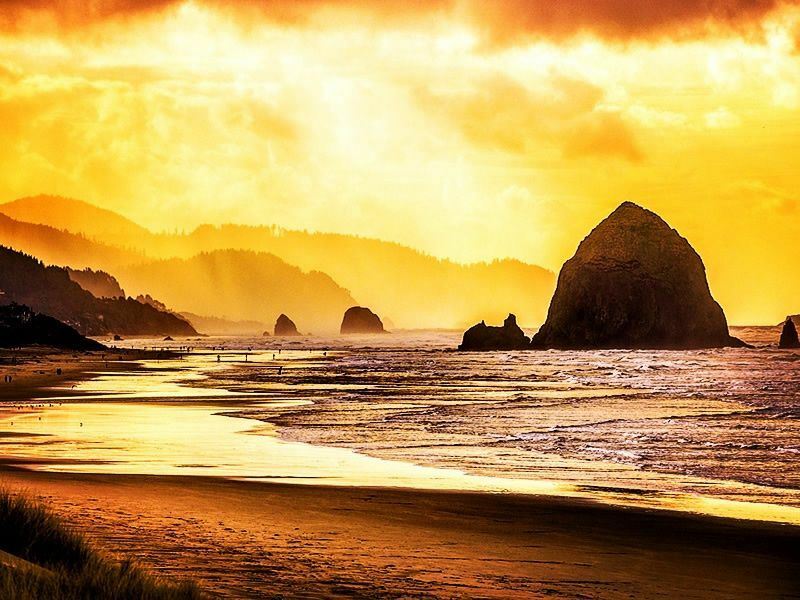 Cannon Beach is also well known for its interesting coastline and dramatic rock formations, Haystack Rock stands proud just off of the beach at 235 feet in height and can be reached on foot at low tide. 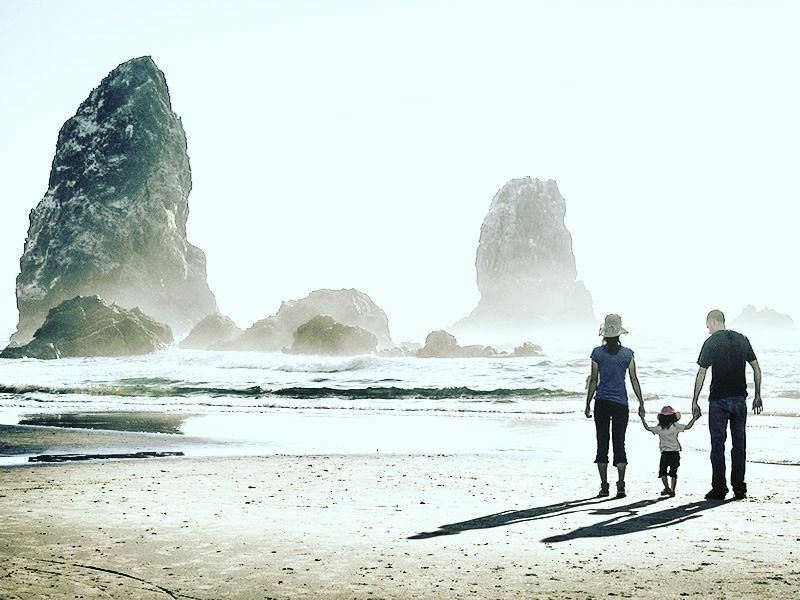 A short stroll from the town is Ecola State Park, a great place to have a picnic with magnificent views of the ocean; there are plenty of scenic walking trails too. Look out for puffins at the National Wild Refuge and paddle in rock pools. If you are hungry head to Cannon Beach Café for a Bison Burger and visit Bill’s Tavern and Brewhouse for beer made on site. There are plenty of beaches in the area for sunbathing, swimming, sandcastle building and midnight bonfires. Arcadia Beach, Hug Point and Short Sand Beach are all close to the town. Don’t miss the annual sandcastle contest for some seaside fun. Full of New England charm, Ogunquit has it all, a bustling town and three miles of beach guarantee the perfect seaside break. 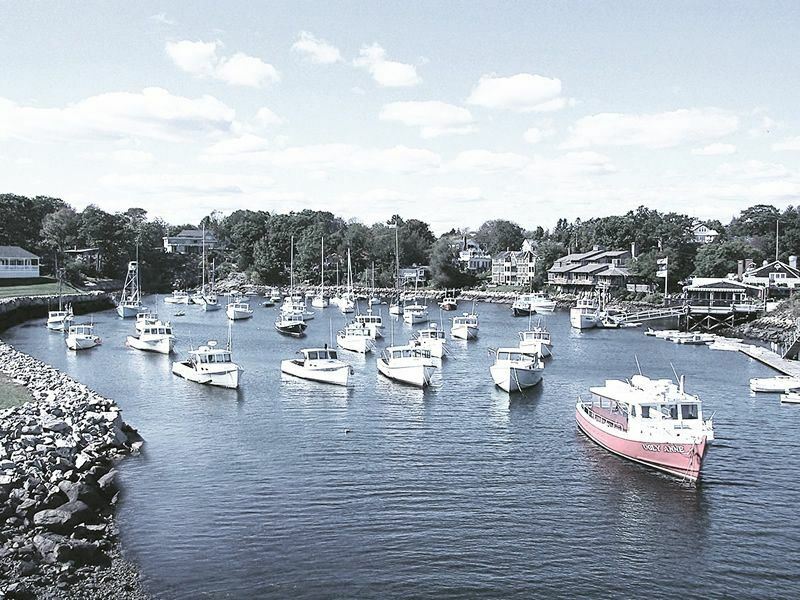 Follow the Marginal Way coastal trail from the downtown area to Perkins Cove a quaint fishing village. The trail meanders along the rocky coastline and past Marginal Lighthouse. Stop at Perkins Cove for lunch, Jackie’s has tasty seafood and wonderful views of the harbour. From here jump on a boat tour to take in the area from the ocean. For something a bit different watch a play at Ogunquit Playhouse or for culture stop by Ogunquit Museum of American Art. Ogunquit Beach is easily accessed from the town centre by car or via the footbridge. For sun worshippers choose a spot either oceanside or by the river, this is sometimes warmer on a breezy day. If on foot take the trolley between the beach and town. FootBridge Beach, just north of Ogunquit Beach is often slightly quieter; its wide stretch of sand is great for exploring on foot. Found on the east coast, sailing is a favourite pastime on this New England island. Newport has beautiful beaches and a whimsical downtown area with cobbled streets. Stroll past the Newport Mansions that line Bellevue Avenue, these huge properties are a reminder of how the wealthy lived during the Gilded Age. For foodies Newport Neighbourhood Food Tour is a unique experience, discover the town from a different angle through its food culture and find some hidden eateries that only locals know about. For beach goers there are plenty of sandy shores to choose from. Easton’s Beach or First Beach is one of the most popular beaches in Newport, hire a boogie board, surf the waves or take in the view and watch the world go by from the boardwalk. The Cliff Walk starts from this beach and is a lovely 3.5-mile coastal path. Sachuest Beach or Second Beach is a good for surfing and a quieter beach, perfect for families or those wishing to find a secluded patch for sunbathing. Gooseberry Beach found on Ocean Drive is a private beach only open to the public on certain days. This gorgeous cove is a must visit, snorkel or kayak amongst the rock formations and swim in the glistening warm waters. 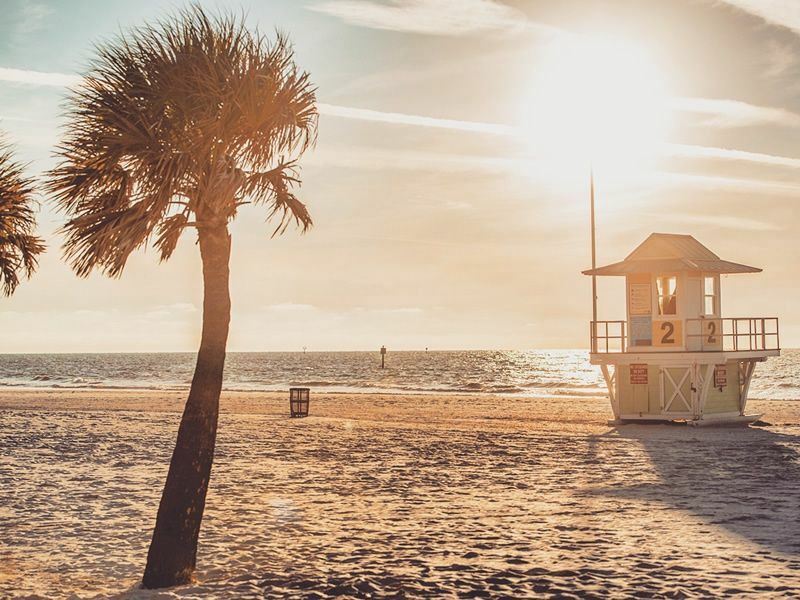 A 30-minute drive from Tampa will bring you to sunny Clearwater. Start off at Cleveland Street District; overlooking the marina it has plenty of shops and restaurants to explore. Sightseeing trips such as dolphin watching and fishing charters all leave from the marina and are a fun holiday adventure. Check out the farmers market held every Saturday and don’t miss Blast Friday. Held on the last Friday of every month in the Cleveland Street District, this outdoor festival has live music, food trucks, contests and much more to keep the whole family entertained. Ride the two miles from downtown on the Jolley Trolley to Clearwater Beach; the warm Gulf waters are just right for some beach time. Parasail, hire a Jet Ski, lookout for dolphins or simply lay back and relax on the golden sand. Stay until sunset and watch street performers dance the night away on Pier 60. 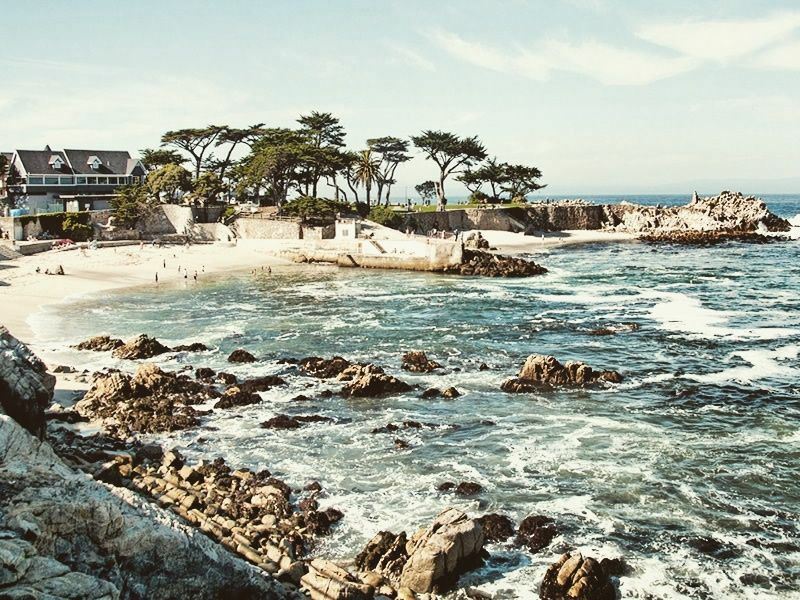 Carmel is a beach town with a difference; almost one hundred art galleries, boutiques and cute cottages line the streets of this well manicured village. Located on the Monterey Peninsula, just off of Highway 1 it is an ideal place for a stop off on a drive along the Big Sur. A walk around this quirky place is enchanting, English in style it is not the usual American looking town. Shops, restaurants and wine tasting rooms are all waiting to be explored inside the charming cottage styled buildings. Below Carmel is the beach with pure white sand and azure blue water it has a reputation of being one of the best along this stretch of the coast. Take the scenic path down to the shoreline or walk to Carmel River Beach along the bluff admiring the glorious views along the way. Although swimming is not permitted on Carmel beach it is a great spot for having a picnic, watching the surfers catch waves, sunbathing or relaxing under the shade of a cypress tree listening to those waves lapping against the shore. Watch out for whales and dolphins from here and reflect on the beauty of this stretch of coast as the sunsets.